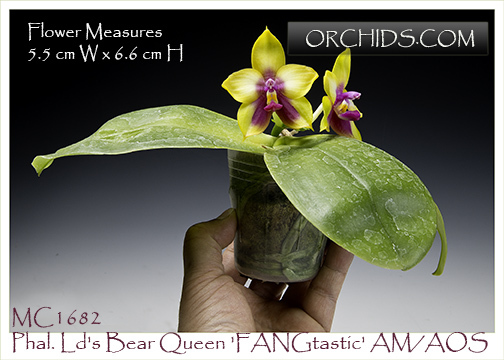 This stunning stem prop of one of the most sought-after hybrids, Phal. Ld's Bear Queen, is one of the very best we have ever seen ! 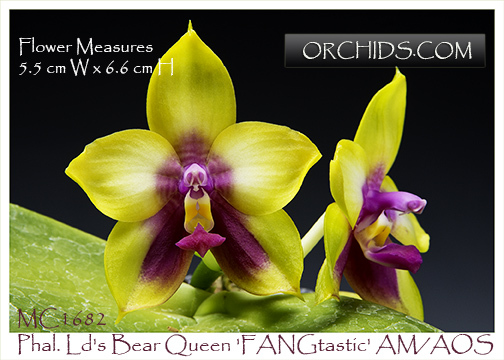 An amazingly fragrant hybrid, resulting from a heavy infusion of great species, with its strong Phal. bellina influence coming from both parents. 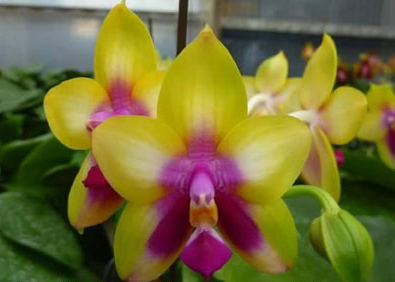 The famous pollen parent, Phal. Dragon Tree Eagle, also adds the species Phal. venosa and Phal. lueddemanniana to the mix, thus creating this cutting-edge hybrid. As a bonus, this clone is fertile, allowing for future breeding. We have an extremely limited quantity of this stem prop available. Very Highly Recommended !